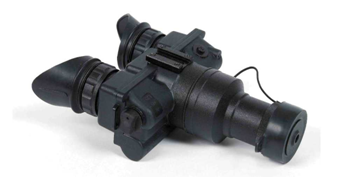 Night Vision Goggles "ONV2/1x" is designed and operated on "2+ Generation" Image Intensifier Tubes with the high level sensitive photocathode and the built-in power supply unit. 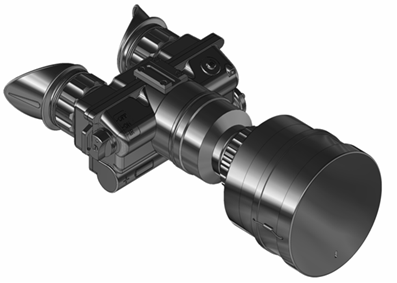 The device is featured by the high quality lenses and the specially designed eyepiece system that all together provides high quality imagery and observation having smooth resolution distribution of an image over entire Field of view. NV Goggles "ONV2/1x" is featured also by the automatic brightness control system and the automatic built-in switch-off device that protects the Image Intensifier tube and an observer eyes from unexpected flashes of lights and subsequent damage and temporary blindness. 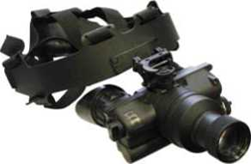 Device is equipped with IR illuminator for highlighting of objects at absolute darkness. Light and comfortable gear allows regulating position of Goggles about eyes and provide their hinge out with fixing in vertical position Switch mechanism and the cover of battery compartment are comfortable to use either operating in gloves. So for any activity you plan on doing which requires night vision and hand free operations, ONV2/1x presents the best results. 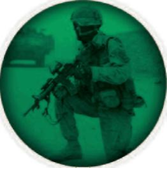 - ONV H mount and U mount Kevlar Helmet Mounts, are metal helmet mounts for attachment of ONV3 & ONV2 Night Vision Goggles to a standard PASGT infantry Kevlar helmet by means of a rugged strapping device and grooved hooks. 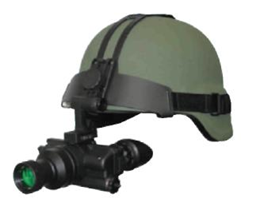 While attached to helmet mount, NVG Goggles can be positioned directly in front of users eyes or flipped. - Camera Adapter Assembly allows night-time photography and recording. The adapter replaces the Ocular. No any other additional adaptors are required for cameras with 35mm or video with 37mm thread in front of the camcorders objective lens.